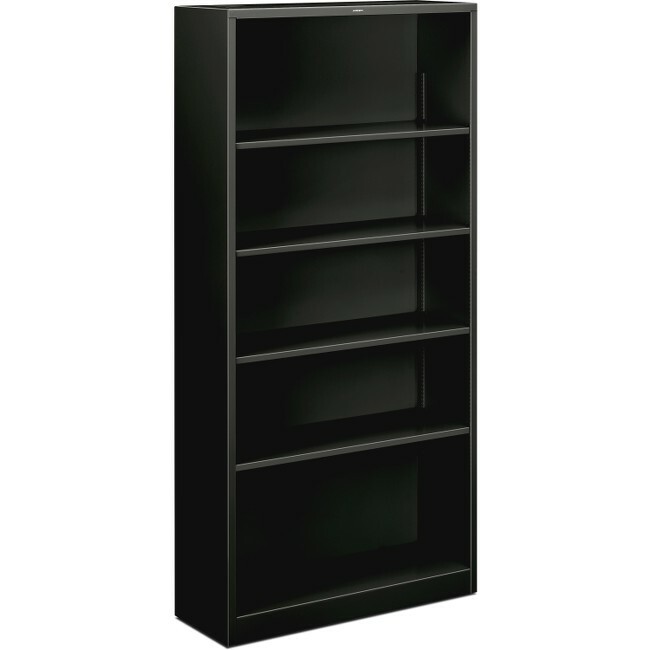 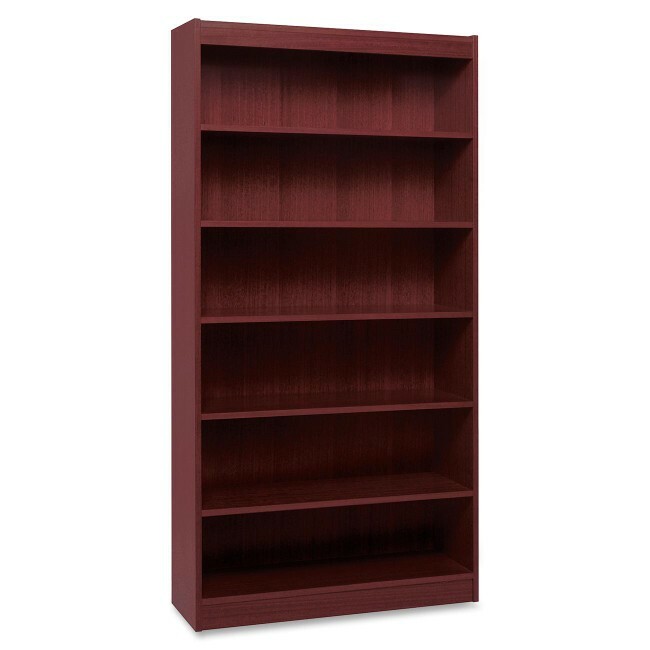 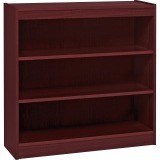 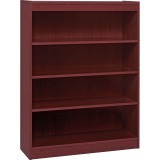 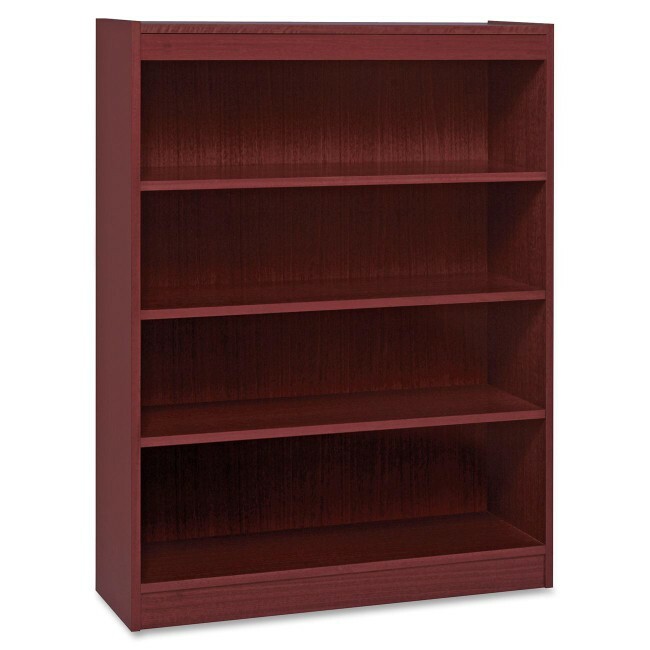 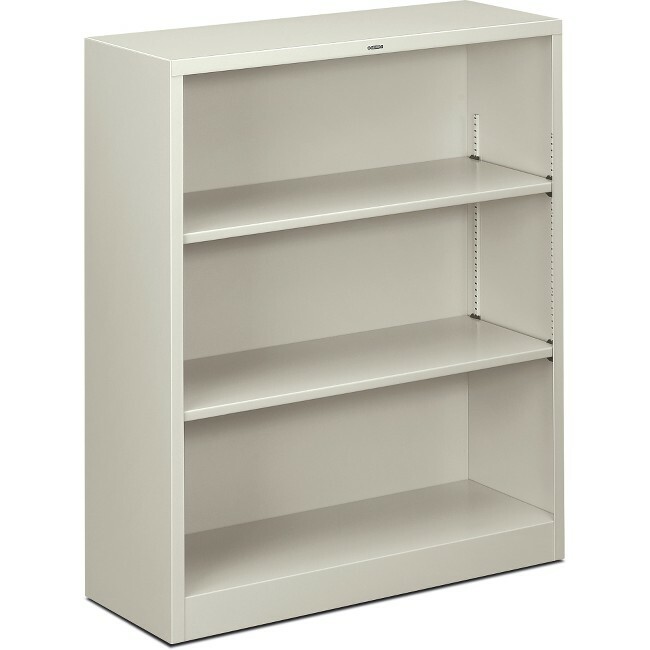 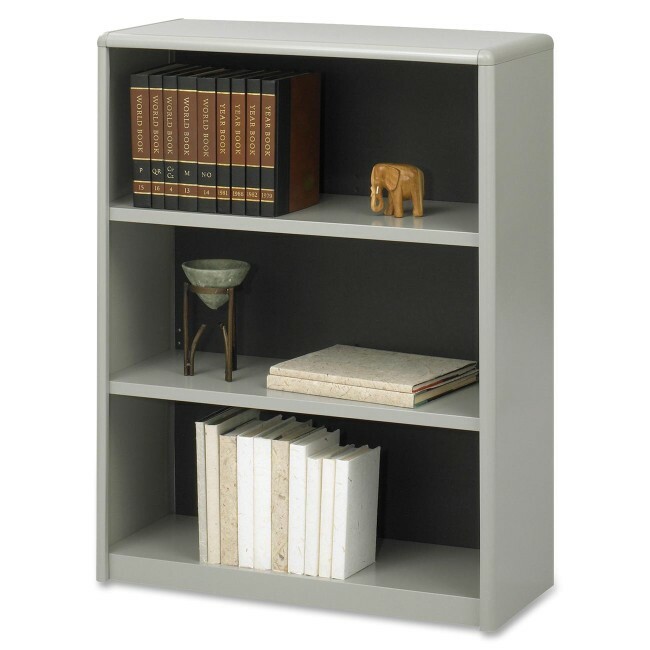 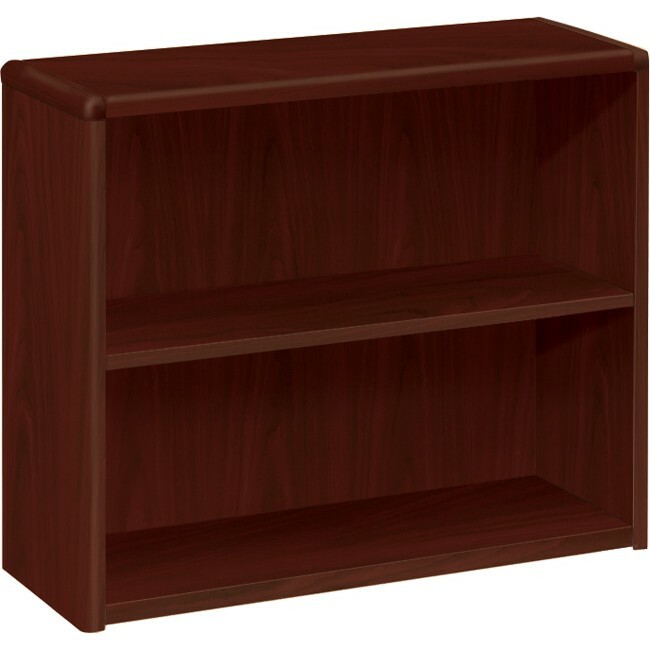 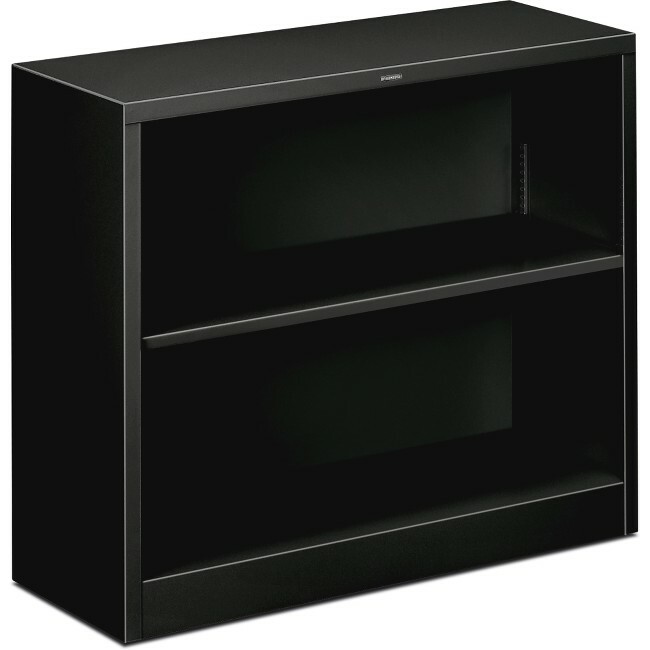 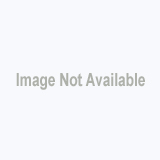 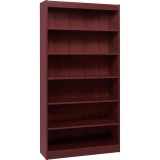 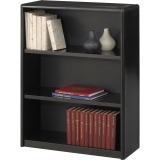 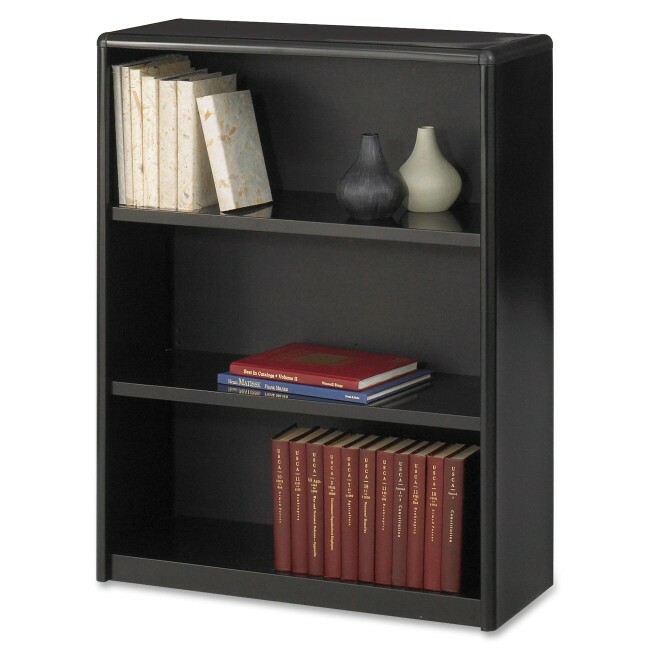 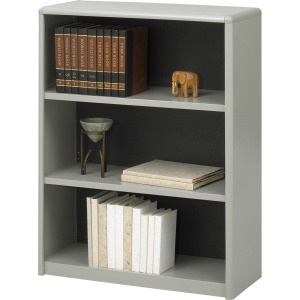 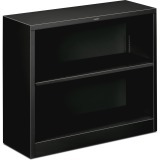 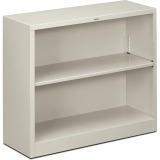 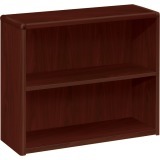 Three-shelf bookcase features a strong steel exterior, shelf construction, and solid fiberboard back. 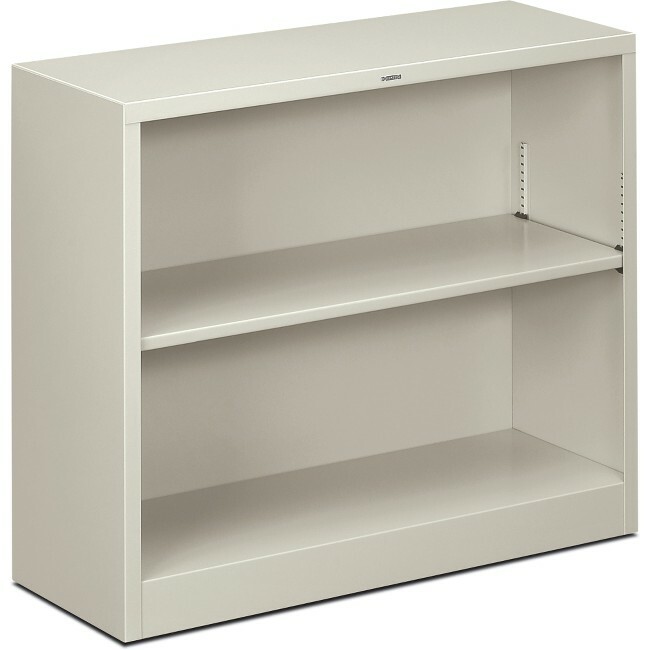 Plastic, snap-in radius corners make assembly easy and add to the overall strength. 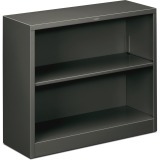 Shelves, except the bottom one, adjust at 1" increments during assembly. 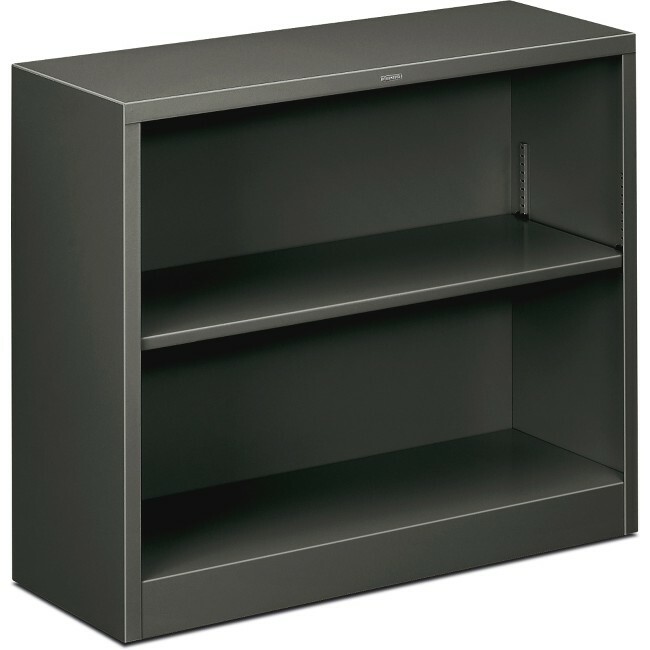 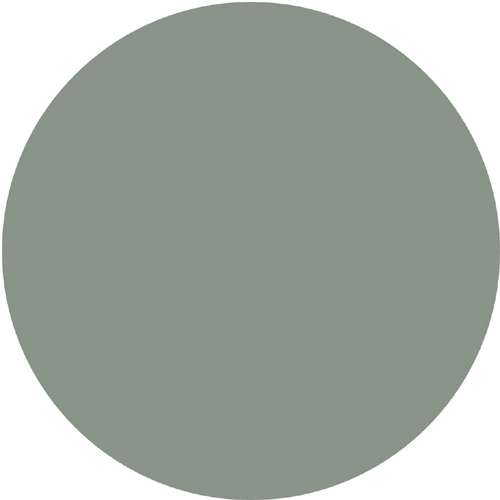 Generously 12" deep steel shelves accommodate three-ring binders and large publications. 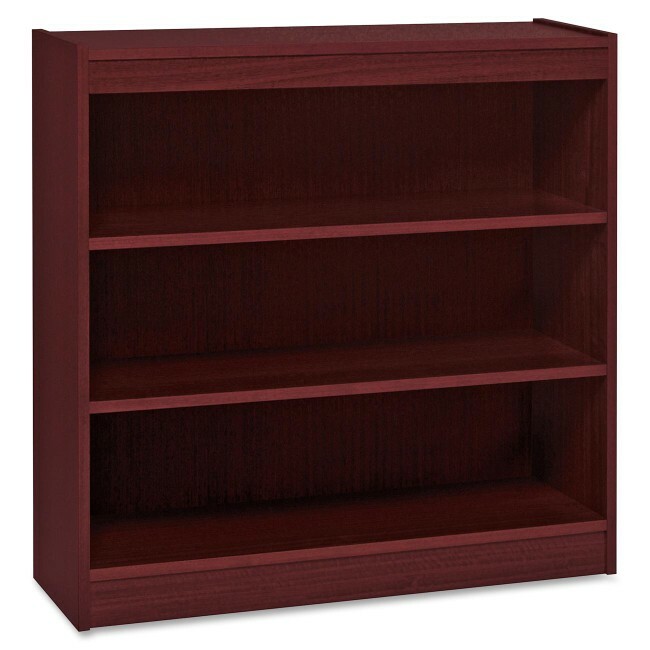 Each shelf accommodates approximately 70 lb. 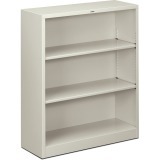 evenly distributed.